A winter candle project with herbs. Both the easy projects require a church-style pillar candle. Bring some light into your home at the darkest time of year with this natural Christmas decoration, or add some cellophane and ribbon to make a lovely gift. If there are not many herbs in your garden at this time of year, why not visit your health food shop for a few sticks of aromatic cinnamon or buy online? 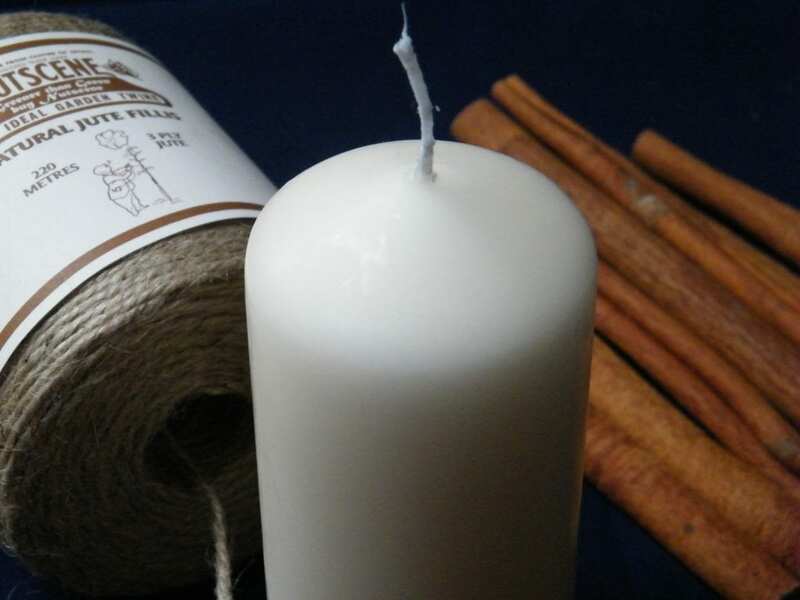 As this candle burns, the warmed cinnamon sticks should give out a subtle aroma of spice. 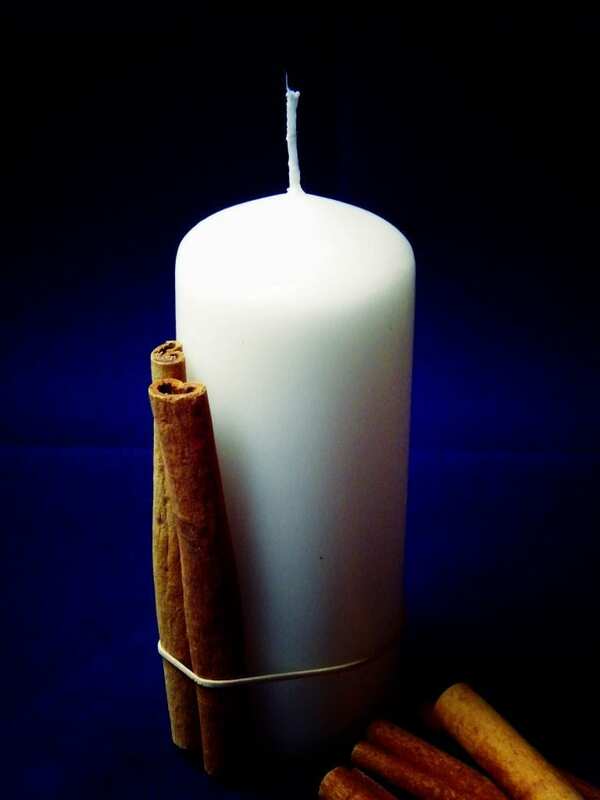 Choose cinnamon sticks that are about the same height as your candle. If they are too long, they can be snipped to size carefully with secateurs. Position the sticks upright around the candle, so that each stick touches the next, using a rubber band to hold them in place until ready to tie. Wrap a length of garden twine firmly around and tie in place with a bow. For a tall candle, tie top and bottom. 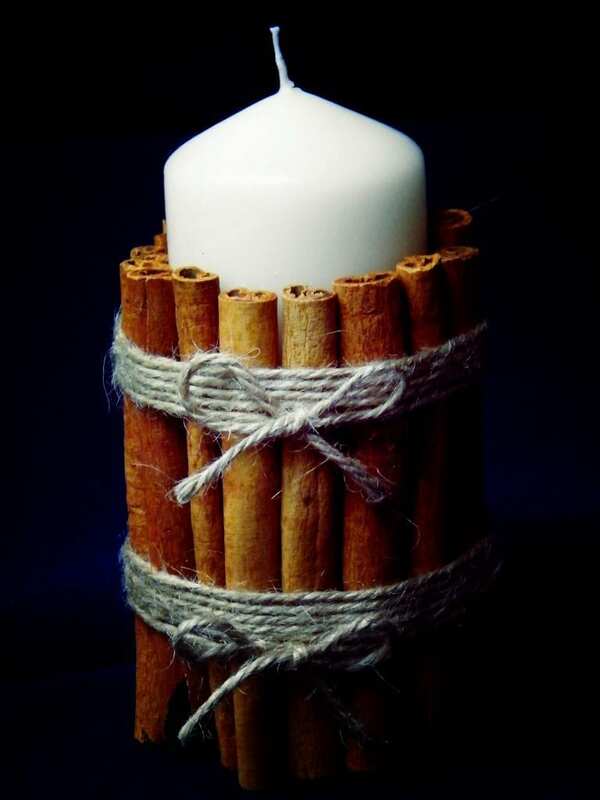 Don’t allow the cinnamon sticks to catch fire! 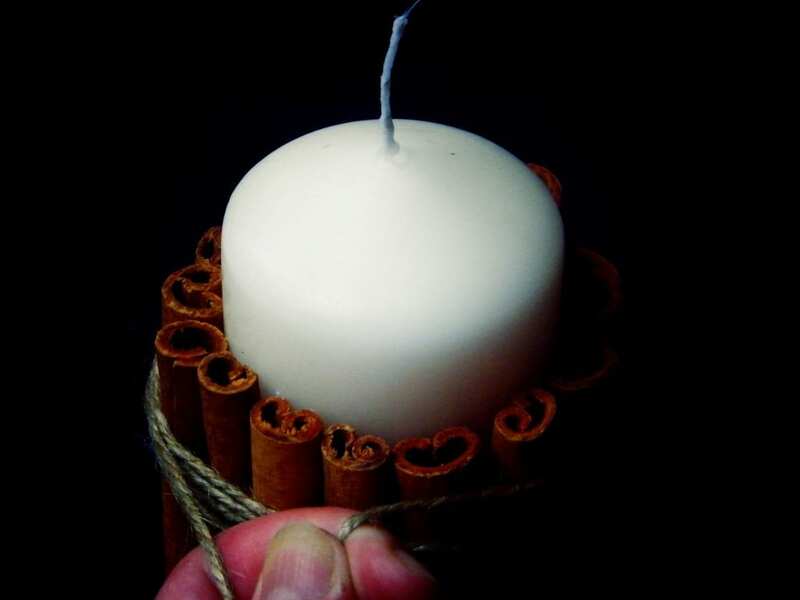 Use candles no less than 3” (7cm) diameter and exercise caution. If giving as a gift, include a note about safety. If you like this project with cinnamon sticks, you might also like my Christmas Crafts category which includes cinnamon stick garlands; cinnamon stick Christmas tree decorations, and other natural Christmas decorations. The UK Herb Society was Established in 1927. It is the UK’s leading society for increasing the understanding, use and appreciation of herbs and their benefit to health. You can find out more on their active Facebook and Twitter pages.